There is a small dot in the Indian Ocean, with a geographical expansion of 65,610km², barely visible in the world map, beneath the giant continent India. Numerous names are being used to identify the small isle by the majority, but formally it is known as "Democratic Socialist Republic of Sri Lanka" the brave land that uncovered the inner beauty, by removing the dark veil placed during the 30 years of terrorism. Though our country is limited to a small geographical expansion, we are a society that has inherited a proud documented history, which spans for more than 3000 years. Even during the times immemorial, Sri Lanka was exposed to the foreign eye due to its strategic location when the trade was high in the ancient Silk Road. Due to the well exposed nature of Sri Lanka, our isle has become land of many ethnic groups where Sri Lankan Tamils, Moors, Indian Tamils, Burghers, Malays, Kaffirs and the aboriginal Veddas share the same sky, earth and the beautiful ocean. We were a main target for the developed countries due to our rich resources, thus Sri Lanka had to go through a period of colonization in which Portuguese and Dutch ruled our lands partially while English captured the whole land after the great fall in Kandy in 1815– our last royal kingdom. For over a century, we were under the British law, which injected many changes to the Sri Lankan life style in both positive and negative aspects. But throughout this period, the educated middle class community of Sri Lanka was conducting a Sri Lankan Independence Movement, which they became victorious in 4th of February 1948 marking Sri Lanka as a free nation. It is not the tallest peak in the isle, but Adam's Peak definitely stands tall within all Sri Lankan beating hearts. Trying to reach the heavens, but sadly limiting at 2243 meters high, this much loved peak is renowned for its most sacred unification factor 'the sacred footprint on the summit'. For generations, the four main faiths have presented their own beliefs with regards to the owner of the foot print. But what truly miraculous about this sacred mountain is that, none of the beliefs clashes with each other's rights for pilgrimaging. Thus from December to month of May thousands of people climb the sacred trail to get worship and get a fair share of its peacefulness to our disturbed lives. The location is ideal and birds are roaming freely in this protected area. Due to its spectacular environment, Bundala National Park has been named as an internationally important wintering ground for migratory water birds, and thus, without any effort Bundala National Park holds the honour for Birdwatcher's paradise. While the sky owners creates wonderful visions for any traveller and privileged tourists in the area is also inhabited by the adorable Asian elephants, Marsh & estuarine crocodiles, turtles & other fauna, including our very own Sri Lankan leopard. Needless to say Arugam Bay has become one of the top ten surf joints in the world, attracting many sporty bodies and surf pros from every corner of the world. This wonderful tourist destination was hidden due to the 30 years of terrors, which gripped the entire nation. But with the dawn of the new era, it boomed like never before becoming a one of the most sought after attractions in the isle. Located in the northern most part of Sri Lanka, it is the ancient port city of Jaffna. It happens to be the most densely populated areas of Sri Lanka. The peninsula is almost an Island; however the narrow neck of land is occupied by the Chundikkulam Bird Sanctuary and the famous causeway which is known as the Elephant pass that connects Jaffna to the rest of the beautiful island of Sri Lanka. Captivating environment that will make you want to come back for more, so let's take a tour to explore the wonders of what Jaffna has to offer. One of its main tourist attractions is the famous Dutch fort and the unexplored beaches and also marks as a place to view some ancient temples, churches and mosques as you dip yourself in the rich history and culture of Jaffna. Some of the other attractions include the Clock Tower with its unique architecture, the Keerimalai Hot Water Springs which is believed to have medicinal value and the Archaeological Museum. This city is one of the most finest ancient capitals of Sri Lanka, well renowned for its greatly preserved ruins of ancient Sri Lankan civilization. During its reigon as the capital city of the nation, Anuradhapura became one of the most constant and sturdy centres of political power and urban life in South Asia. Though the city of Anuradhapura becomes a focal point for Buddhism in Sri Lanka, the location is also much popular among the Hindus due to its significance placed by been the capital of the Asura King Ravana in the Ramayana. Due to the 30 years of terrorism activity, this captivating coastal line has been unreachable to all the local and foreign travellers, thus leaving it to its preserved beauty. Located approximately 20 km from North-West of Trincomalee, it has already become one of the prime tourist destinations of Sri Lanka. The crystal clear blue waves of the Indian Ocean and the palm fringed pristine white beaches, anticipates your presence to complete the beautiful scenery. Wilpattu National Park is a park located on the island of Sri Lanka. The unique feature of this park is the existence of "Willus" (Natural lakes) - Natural, sand-rimmed water basins or depressions that fill with rainwater. 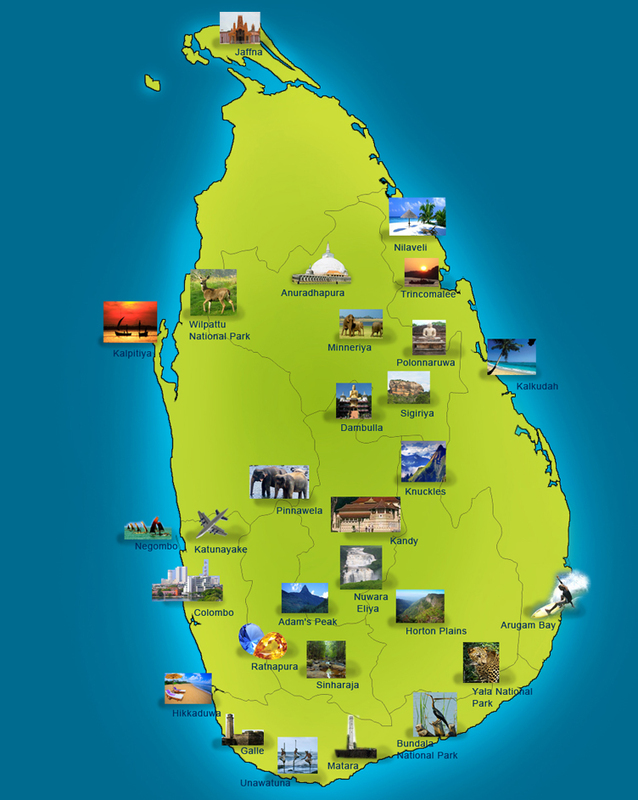 Located in the Northwest coast lowland dry zone of Sri Lanka. The park is located 30km west Anuradhapura and located 26 km north of Puttalam (approximately 180 km north of Colombo). The park is 131, 693 hectares and ranges from 0 to 152 meters above sea level. Nearly sixty lakes (Willu) and tanks are found spread throughout Wilpattu. Wilpattu is one of the largest and oldest National Parks in Sri Lanka. Wilpattu is among the top national parks world renowned for its Leopard (Pantheraparduskotiya) population. The Leopard population in Wilpattu is still not yet known. 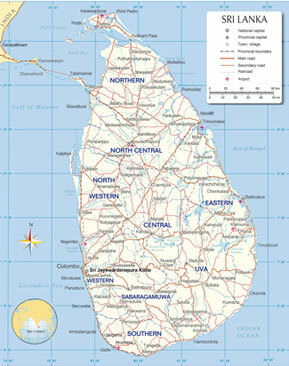 Trincomalee is a port city on the east coast of Sri Lanka, about 110 miles northeast of Kandy. The city is built on a peninsula, which divides the inner and outer harbours. It is one of the main centers of Tamil speaking culture on the island. Historically referred to as Gokanna, or Gokarna it has been a sea port that has played a major role in maritime and international trading history of Sri Lanka. Remarkably untouched natural beauty, as you enter its grace, is the well-known Western peninsula of Kalpitiya. Attracting a lot of tourist, this destination is one that is not to be missed, for it comprises a lot of things to see and do. Known for its great fishing expeditions, this is the best place to see real fishing and get a chance to visit the fish markets offering evening meals direct from the daily catches. You will get a chance to go on boat trips for whale and dolphin watching or take leisurely boat rides on the lagoon and canoe trips down the river while exploring the coastline. Also take a thrill ride by a 4WD jeep along the desert sandy dunes. 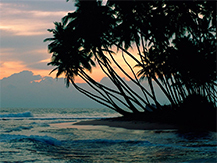 Yet the most spectacular view is the colourful evening sunsets, as you embrace the real beauty of Sri Lanka. Minneriya is a small town ideal for the tourism industry due to its highly famous neighbouring attractions such as; Anuradhapura, Polonnaruwa and Sigiriya that are also recognised as World Heritage Sites. Minneria hold the fame for two cardinal things- Minneria wildlife sanctuary which is a whim for the safari fans and the Great Minneria tank built by the king Mahasen. During the dry season (June to September) this tank is crowded with the elephants that visit to bath and quench their thirst. Due to its perfect natural setting, many flocks of bird that come to fish in the shallow waters add more beauty to the vicinity, marking it as one of the ideal tourist destinations of Sri Lanka. Polonnaruwa is one of the many kingdoms entrenched in ancient Sri Lanka, which has an esteem alliances in the grounds of Sri Lankan history. It's the second largest city of the entire country. Ancient constructions such as "Parakrama Samudraya" built by king Parakrama, embraces the eminence of this city. Even today Polonnaruwa remains one of the outstanding archaeological relic sites in the country testifying the nobility Kingdome's 1st rulers. Polonnaruwa is also named as one of the World heritage sites in Sri Lanka. Looking for the perfect beach to relax and enjoy the waves, then come down to Kalkudah, which is perfectly curved with palm trees embracing it surroundings and also by the magnificent coral reefs. It is located about 35 kilometres northwest of Batticaloa District of Sri Lanka, its golden sandy beaches is one of the most perfect scenes dotted with some fishing boats . A popular point for any holiday maker, embrace the surrounding and get a chance to experience it's both onshore and offshore activities. Sigirya- which is also known as Lion's rock is an archaic fortress built by King Kassapa, which is anchored in Mathale district of Sri Lanka. Despite this fortress is now in ruins, thousands of local as well as foreign travellers visit to behold the royal grace of the remaining. The view from the top of the rock is one of the most awe-inspiring views you'll ever behold. The apple of this rock is the Frescos (ancient paintings), which have the resemblance to those in the Ajanta Caves of India. Aside from those paintings Graffiti on the Mirror wall (a well-polished wall) are legendary. As if to glorify of this wonderful fortress, it's listed as the 8th wonder of the world. Dambulla is a city that glows with an undeniable splendour of ancient history. Though the urban mischief and changes of the millennium, rapidly envelops the entire nation, Dambulla manages to stand tall with its majestic golden cave temple complexes, largest Rose Quarts mountain range in the South Asia, the Iron wood forest and the well renowned prehistoric burial site Ibbankatuwa which promises to drive history buffs insane. The Knuckles Mountain Range lies in central Sri Lanka, north-east of the city of Kandy. The range takes its name from a series of recumbent folds and peaks in the west of the massif which resembles the knuckles of clenched fist when viewed from certain locations in the Kandy District. Whilst this name was assigned by early British surveyors, the Sinhalese residents have traditionally referred to the area as Dumbara Kanduvetiya meaning mist-laden mountain range (Cooray, 1984). The entire area is characterised by its striking landscapes often robed in thick layers of cloud but in addition to its aesthetic value the range is of great scientific interest. It is a climatic microcosm of the rest of Sri Lanka. Kandy in Sinhala, pronounced is the English name for the city of MahaNuvara (Senkadagalapura) in the centre of Sri Lanka. It is the capital of the Central Province and Kandy District. It lies in the midst of hills in the Kandy Valley which crosses an area of tropical plantations, mainly tea. Kandy is one of the most scenic cities in Sri Lanka. Kandy is of both an administrative and religious city. It is the capital of the Central Province and also of the administrative district of Kandy. Pinnawala holds the record for world's largest herd of captive Elephants. This orphanage was established by the Sri Lanka Department of Wildlife Conservation in the year 1975, to take care of the young elephant babies who are stranded in the heart of the jungle. Spreading across in a 25-acre coconut property near the Maha Oya River, it now homes for more than 80 elephants that are being fed, watered and looked after like one of our own kind. Negombo is the fourth largest city in Sri Lanka which is merited for tourism. It is about 7 km north from the Bandaranayke international airport, which faces the mouth of the Negombo lagoon. And also nearly 37 km from the capital of Sri Lanka. Though it also produces cinnamon, ceramics, and brass ware the economy of the vicinity is significantly based on tourism as well as its centuries-old fishing industry. 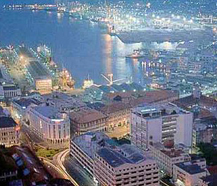 The commercial hub of Sri Lanka is bustling with energy at present. With high rises reaching the skies for ultimate comforts, Colombo is changing and changing at a rapid speed for a new look, while persevering the old glory. The name "Colombo" is believed to be derived from the Sinhala name "Kola-Amba-Thota" meaning harbour with the Green Mango Tree. The harbour was naturally placed in such a prominent and a strategic position that the merchants and ancient traders of 2000 years ago well recognised our little isle on landing on the Colombo. Ratnapura is a prized city with valuable treasures hidden beneath the soil, which is also the capital city of Sabaragamuwa Province of Sri Lanka (101 km south east of Colombo). This city is renowned for Gems and Jewellery of Sri Lanka, where the best Gem and Jewellery dealers rise to the occasion from this land. According to the olden days name "Rathnapura" is originated from the Sinhala words, "Ratna" meaning gems attached to "Pura" meaning city. Besides gem mining, this city is also recognized for rice and fruit cultivations as well. Horton Plains is one of Sri Lanka's National Park and the highest plateau in the island comprising of grassland interspersed with patches of forest, with some unusual high altitude vegetation. The Plains are a beautiful, silent, strange world with some excellent trails for hikers who are seeking a wonderful trail that will lead to an exploration of a life time. It has a rich biodiversity and much of the species found here are endemic to the region, thus making this a popular destination for any nature lover and holiday maker. Other attractions include Baker's falls, Slab Rock Falls, and much more. Besides the attractions, it is also home to a large variety of animals. It is the hunting ground for a Sambardeer; Rusty spotted Cat, Sri Lankan Leopards, Wild Boars and Stripe-necked Mongooses. Sinharaja Forest Reserve is a national park in Sri Lanka. It is of international significance and has been designated a Biosphere Reserve and World Heritage Site by UNESCO. The hilly virgin rainforest, part of the Sri Lanka lowland rain forests ecoregion, was saved from the worst of commercial logging by its inaccessibility, and was designated a World Biosphere Reserve in 1978 and a World Heritage Site in 1988. The reserve's name translates as Kingdom of the Lion. Yala National Park is a national park in Sri Lanka. The reserve covers 979 km², although only the original 141 km² are open to the public. It was established in 1894 as a Game Sanctuary. Much of the reserve is parkland, but it also contains jungle, beaches, freshwater lakes and rivers and scrubland. The latter zone is punctuated with enormous rocky outcrops. The range of habitats gives rise to a good range of wildlife. 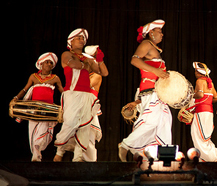 Matara is one of the cities in Sri Lanka, which is a chief attraction point in tourists' list. Dwell in the sea side and embrace the beauty of the city, which as per to historical documentation, belongs to the area called Ruhuna - one of the three ancient kingdoms in Sri Lanka. There's a temple in the middle of the town, built by one of the age-old kings who ruled this antiquated kingdom, which is a popular sacred place, even among the none-Buddhist citizen in the area. During 16th and 18th centuries Matara was ruled by Portuguese and Dutch respectively, thus you will be able to get a feel of the colonial era as well. Unawatuna is a beach resort, located on the southern coast of Sri Lanka. Described as most wonderful beach location by the nature, Unawatuna is one of the best scuba diving locations in Sri Lanka. You can enjoy the beach, Scuba diving, surfing and sea food in Sri Lankan style. The jungle beach, Roomassagla hills, Kathaluwa temple, Galle fort are interesting places to visit. Galle is situated on the south western tip of Sri Lanka, which just about 119km from Colombo, enjoying the beautiful coastline, that is consumed with a great variance of scenarios from the vast beaches to marsh lands and also to dry planes and hills. 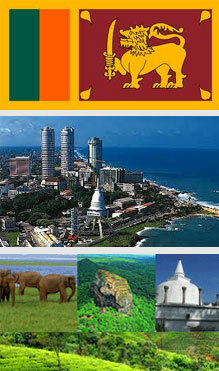 To add to this, Galle is also known for its historical point. It was called as "Gimhathiththa" before the Portuguese arrived in the 16th century, during that time it was the main port of the Island. It is now a great attraction, which includes the famous Dutch Fort, and much more. Located in the Southern Province, Hikkaduwa is a small town on the south coast of the beautiful Island of Sri Lanka. It is famous for its golden beaches and variety of corals. It is easily accessible through the famous Galle road, which is about 20km north-west of Galle. It is a great tourist destination, which gives the visitors amble activities like surfing, snorkelling and embracing the warm sun. If exploring is your intention in the island of Sri Lanka, be warned for you will be facing a life time of addiction in this island of glory. We present you a virgin forest (Sinharaja Rain forest) and Sri Lankan national parks that preserves the best essence of nature. There you will be introduced to the fascinating life styles of amazing endemic species such as Sri Lankan Leopards, Red Slender Loris and the big old heart warmer – the Asian Elephants. While animated wild lives mesmerises you, reserve your emotions for the enchanting thickets as well since, the more you travel deep into the isle, the lush wilderness will sure to envelop and overwhelm you. We welcome you to a society where the aura of humanness is abundantly dispersed. It can be seeing through the radiant smiles that are fixed on each face, and the twinkle in each of the eyes. Here at Sri Lanka every elderly person becomes a parent for another and every youth becomes a brother, sister or a son and daughter for the other. Therefore do not fear… for you will not be alone in this land of the strongest bonds.